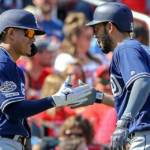 The San Diego Padres currently have plenty of depth in the outfield. There are several men on the 40-man roster who are more than capable of being major league regulars. 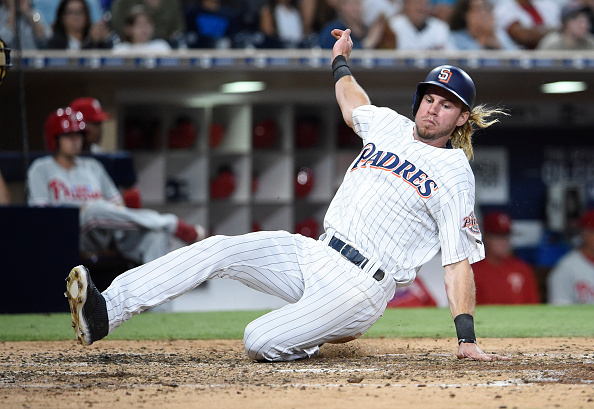 Of all the players that the team has in terms of outfield options, Travis Jankowski certainly brings a special skill set to the group. He is a defensive-minded player with exceptional overall speed. He uses his swiftness on the basepaths to swipe bags, where he has stolen 50 career bases (14 this 2018 season). 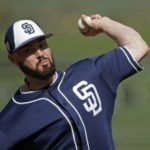 I sat down with Travis in the Padres’ dugout before a game against the Giants, to get his impression on the 2018 season. The two of us have met a few times, as Travis and the Padres’ team participate in the Rady’s Children’s Hospital Celebration of Champions event every year. The gathering is for kids that are battling cancer. It is an event my wife and I have attended for the past 10 years straight. We spoke about the event, as Travis is just married and due to be a father for the first time in October. He was gracious and very understanding of the situation, as we discussed how events like that can help put things into perspective for a player. I enjoyed speaking to Travis and found him very understanding to what my family went through and continues to go through on a daily basis. He even went as far as to look at a picture I had in my journal of my son and family. It was a special moment. Eventually, our conversation turned towards baseball. I first asked Travis about the time he spent in El Paso to begin the year. 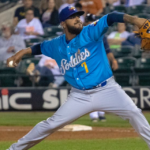 He did not make the team out of the spring, and spent 22 games with the Chihuahuas. “It was quite difficult at the start. Obviously hearing that you are not where you need to be, to compete at the highest level. It was tough to accept. Tough to hear. I talked with Andy. Asked him what I needed to do be back up. He listed some things… It took probably three days to get over it.” In talking about it, you get a sense that he was not happy with the situation. He expected more out of himself. The proper adjustments would be made. Although he was discouraged, Travis had the right mindset to move forward. “Frustration was huge, but the main thing I wanted to do was to take that frustration and turn it into a positive and let it impact the way I play. I took what they had to tell me to heart. I don’t think it was anything like lack of effort. It was some mechanical adjustments that needed to be made. After the three days I took to reflect, it was time to stop sulking and do something about it.” He took time to vent and be upset. After that, it was all business for this left-handed-hitting outfielder. I had heard several glowing reports about Morgan Burkhart, the Chihuahuas’ hitting coach. I asked Travis about him and how he has helped him hone his craft. “That guys is a workhorse. He will throw 2,000 balls to you if you need it. He takes a lot of pride in what we are doing as hitters. Burky and I have a history. I had him in Double-A for two years. I had him in Triple-A for a half of a year and a little bit this year. I think I was the first guy that he coached that made it to the big leagues. He and I go back a little bit. I trust him. If you do not have trust in a hitting coach, then its difficult to get better.” Burkhart has helped players like Carlos Asuaje adjust after his demotion, and Jankowski is no different. He has really calmed his swing and he looks way more productive at the plate since his time in El Paso. I asked Travis more about his swing and what he did to adjust. Burkhart helped him to get back to the basics. “He teaches a simplified swing. Being short and through the ball. We made some mechanical adjustments… I lost the leg kick for more consistency. When I was down there, I realized that I was probably not going to be an everyday player… We felt it was better to simplify my swing.” Very advanced thinking from Jankowski, as it is difficult to keep your timing on a leg kick while only playing sporadically. He is much more simple now with his approach and the line drives are starting to come for him on a more consistent basis. 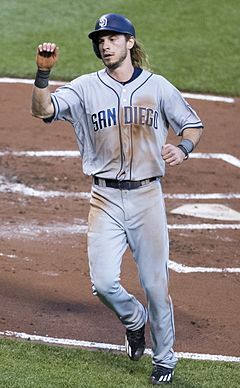 Skip Schumaker had reportedly helped Jankowski this year with baserunning and outfield defense. In speaking about Schumaker, this is what Travis told me. “A lot of the work we did was done in spring training. That is when we really got into it and got in-depth about a few things. We worked on leads and some base stealing stuff… He continues to help me in the outfield every day. He hits me grounders and fly balls. He is always there and always available. He is a great coach and honestly a better person. 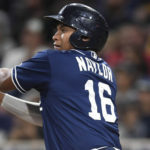 I consider him a friend.” This is great to hear, as the first base coach for the Padres has bonded well with some players. Jankowski speaks highly of Schumaker, as he referred to him as a “winner”. 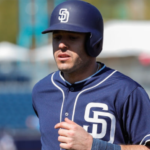 The Padres are certainly stacked with serviceable outfielders on the roster. I asked Travis about how he prepares himself each and every day, even when he might not be in the lineup. He gave me some very interesting stuff here, as he has a very mature approach to his playing time.”Everyday I expect to play. Obviously I am not playing a whole lot against lefties. For me, it is one of those things that I would rather be prepared and not play, than play and not be prepared. I treat everyday the same until I come in the locker room and see that I am not playing. Then I can take a second to relax and calm down. I then look at the relievers and check their numbers. It just means it is my day to work on some things and hit the weight room or whatever. Right when you think you have this game figured out, it will humble you.” We spoke in detail about the game and how it has a tendency to keep you in check. Travis is certainly aware of that fact and is in no way taking his time here at the major league level for granted. He will continue to work hard. Since Travis is doing more pinch-hitting these days, I asked him about that fact. I was eager to know if he changed his thought process coming off the bench. “Mark Sweeney has helped me a lot. He told me the mentality I have to take. I am going to get the game-winning hit today. I keep repeating that, and it helps me to remain locked in and focused everyday.” He prepares himself to be at bat when the game is on the line and that has helped him get through not playing on an everyday basis. You never know when your time will come to help the team out. This is what veterans think about, not players who are in the prime of their careers. Jankowski is a gamer. He gets it. I wanted to know about Travis’ approach at the plate when he is ahead in the count. I asked him about hitter’s counts and what he looks for when a pitcher has to give in and throw a strike. “It goes down to pre-game study. You need to understand if that particular pitcher likes to throw the ball away or in. You need to know what this guys is going to attack me with. I have to be in control in those counts… It really depends on the pitcher and how is throwing that day. 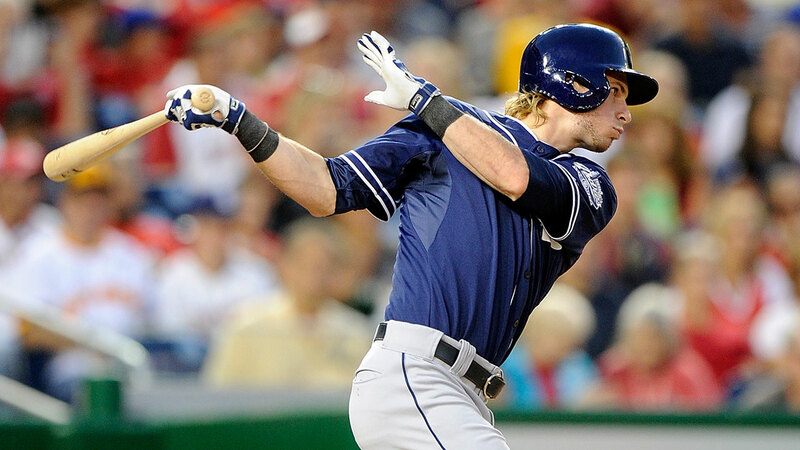 Also how he has attacked me in the past.” The ever-prepared Jankowski appears to have a plan when he comes to the plate. That is advanced thinking and should benefit him in the long run. 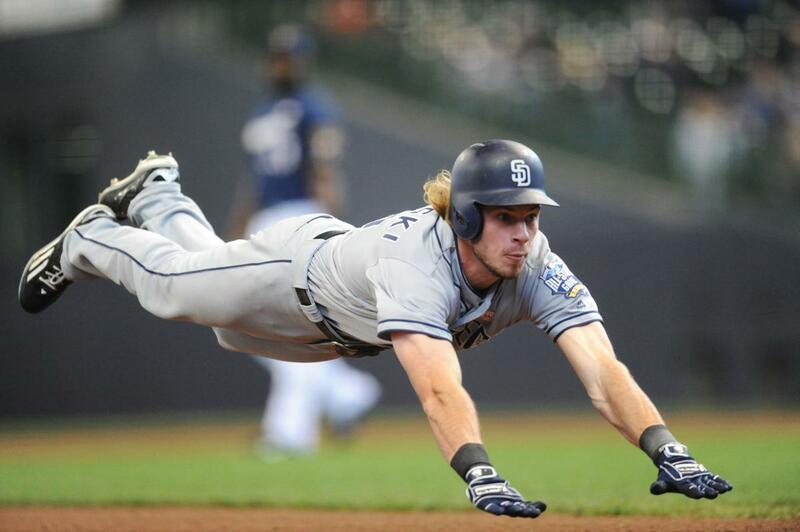 This year, Jankowski has been playing a much deeper outfield on defense. I asked him if it was by design from the team or if he preferred to stay deeper in his position. “I think it is something with me. I am just a little more comfortable playing a little deeper. If I had to pick an area of defense that I need to improve on, it is definitely going back on the ball. For me, coming in is a lot easier.” Amazing, as I have seen Travis track many fly balls over his head with ease. He feels he needs to work on that area and more power to him for taking the initiative to improve in an area where he thinks he could be better. That led me to a fun question in which I asked him if he preferred hitting a home run or robbing a home run. “There is something about robbing a home run that is awesome. It’s like being that antagonist. Things have to line up perfectly for you to rob someone.” We talked about the subject for a while, as he communicated how much he takes pride in his defense. The 2018 team has been in a tailspin of late. They are not playing quality baseball right now. I asked Travis about the feeling and emotion in the locker room. “I would be lying if I said everyone is happy. It is very tough to be happy when you are losing. I will say that I haven’t experienced the team chemistry like we have now, since college. We are really a group of guys that leave it all out on the field. We know we have each other’s back. Even though there is competition between us, we are all a collective group and our goal is to win. We cheer each other on and have each other’s back. The wins aren’t there right now and it is frustrating. 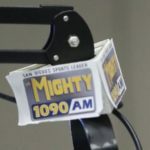 From the mental side, we are frustrated that we are not winning, but it is not affecting the chemistry side.” No sugar-coating anything from Jankowski, as he describes the chemistry on the team. They are jelling together and the wins should come eventually for this team. Eventually. We next spoke about the Latino influence on the team. I wanted to know what the current Latino ballplayers bring to the squad. “Passion for sure, and if you look at a guy like Jose Pirela, I don’t know if anyone hustles as much as him. He will make a play close at first, where a lot of guys will bat flip and take it easy to first. It says a lot about him and the character of the Latino players. You get a guy like Freddy Galvis, who is the current iron man. He’s played in 271 consecutive games. Yesterday (Sunday) is a perfect example. He fouls a ball of his knee and refuses to come out. Even though he is not where he wants to be with the bat, he does not let that bother him.” Those two men are constantly chastised by fans of the team. More often than not, those “fans” have no idea about chemistry and heart. Players that play this way are well-respected by their teammates. Travis and I talked about this for a while as he truly appreciates the fact that both Pirela and Galvis are gamers. In closing, Travis has been a Padre for four years. He has experienced a lot of San Diego and I was curious what this native of the East Coast loved most about America’s Finest City. “The weather is probably number one, but not far behind that is the fans. We are not where we want to be as far as wins on the field, but they still support us. It is one of those things where you go to Philly, and they don’t score a run with the bases loaded and you get booed off the field even if you are in first place. We get a ton of support from the fans and the city. It is always good to play here and the fans have a lot to do with that.” He wasn’t just kissing up there either. He sincerely enjoys his time in San Diego and loves its fan base. Travis prepares himself everyday and expects to be in the lineup. When his time is called, Fast Freddy will be there. I’ve always rooted for Jankowski, his speed and defense make him an exciting player. Probably doesn’t hit enough to be a regular, but as a 4th OF who might get 400 ABs he seems pretty good. This is another player who development has been impacted by the Hosmer signing/Myers to the OF nonsense. His comment about Philly is spot on, worst place to play. this list mostly misses, but Boston and Philly, oh yeah. 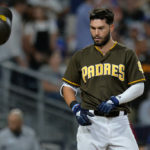 It was easy to see how the Hosmer signing would affect the team negatively, especially to the Padre fan. How did the front office miss this? Not only did the front office miss this, they were THE ONLY team that was willing to pay him. Even then, Hosmer was still able to get another year or two added to the length of the contract. That is not just disturbing by itself, it is a frieghtening indicator of the incompetence of Preller.